Blowout Sale! 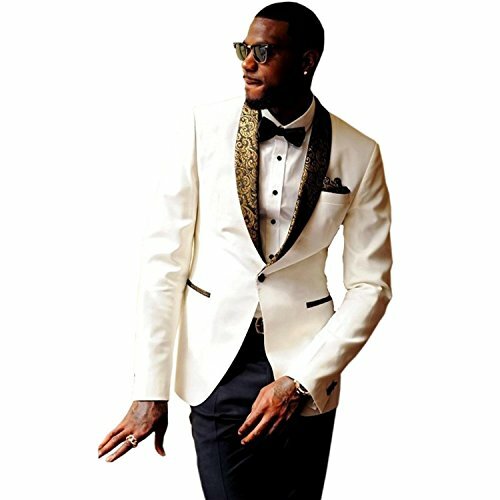 Save 53% on the JYDress Mens 2-Piece Groom Suit White One Button Tuxedo Wedding Party Jacket & Pants by JYDress at SCRHI. Hurry! Limited time offer. Offer valid only while supplies last. CUSTOM MADE Suits can be custom made according to your measurements, please send us your detail measurements as following. 1:neckline=? If you have any questions, please don't hesitate to contact with us. About the size, please reference the size chart (The size chart behind the product image) or customer review. We can custom made for the suits,if you want custom made please send us measurements. If you have any questions about this product by JYDress, contact us by completing and submitting the form below. If you are looking for a specif part number, please include it with your message.